We Know Shipping Cabin Cruisers! cabin cruiser boat moved anywhere in the world. It is of the utmost importance that you know the dimensions of your cabin cruiser before you can get a proper quote for shipping. We can transport any vessel up to 60 feet in length and up to 40,000 pounds in weight. The real issue pertains to the height of your cabin cruiser. In the northern east coast states, 13'6" is the height limit, while it is 14' in other states. If the height of your vessel exceeds the maximum allowed, you will need to travel with a pole car. Nationwide Boat Shipping will use the height of your cabin cruiser to plan your route and supply a pole car, if needed. Cabin cruisers require much more preparation than smaller boats. The larger overall dimensions mean a different approach must be taken to their transport. No matter how far your cabin cruiser is being hauled, its size alone is reason enough to turn its transport over to the professionals at Nationwide Boat Shipping. Let our experience make the shipping process easier for you. 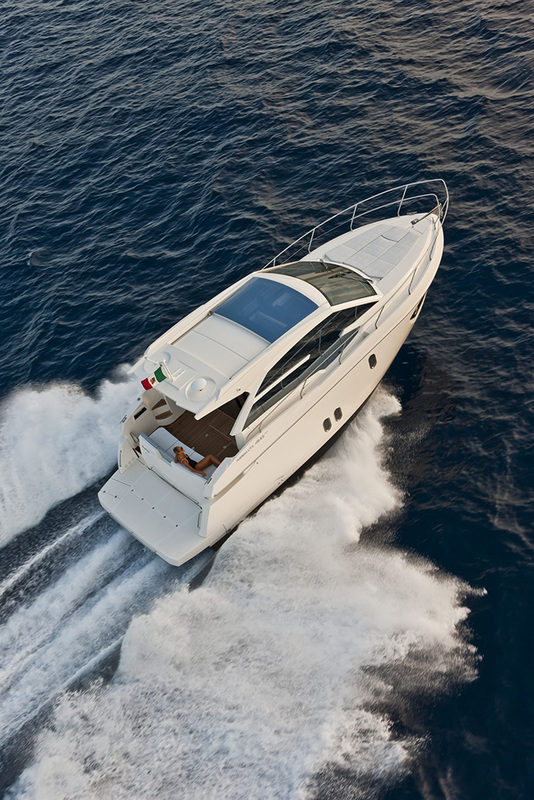 We will take care of obtaining all permits and escorts needed to ship your cabin cruiser, so you have one less worry. Call (800) 352-8475 to talk with one of our logistics professionals for a free no obligation quote today! No matter where you are planning to go next, we can make sure your cabin cruiser arrives there in great shape. We offer our complete range of transport services to every state in the nation, so you know your vessel will receive the best care possible throughout the shipping process. And you will be in continuous contact with the transport, so you will always know where it is. With Nationwide Boat Shipping in your corner, you can relax. It's no wonder we are the nation's number one choice for cabin cruiser transport. "I was worried about shipping my cabin cruiser but Nationwide Boat Shipping made the worries go away! Thanks for a great job! "Couldnt have been happier with my experience using Nationwide Baot Shipping! They really are the leaders in the industry!" "Can't say enough good things about Nationwide Boat Shipping - I've recommended them to my fellow cabin cruiser owners!"